The last time Sy Jia, Gareth and I met together was 12,000km away, back in Lund, Sweden. We're meeting again that day in Raffles City Shopping Centre. Why the trio? 3 of us went for church fellowship every Wednesday when we're doing Student Exchange Programme in Lund University. Sy Jia and I has randomly settled down in The Soup Spoon while waiting for Gareth who was supposed to be late for an hour but being late for one and a half hour. Ya, and that's the Gareth we know, in addition to Sy Jia's "and you never fail to make me angry". I was going to order Beef Goulash, but I compared the calories amount (307 cal) to the Roasted Pumpkin's (130 cal), I changed my decision, which wasn't a good idea though, the Roasted Pumpkin soup was almost tasteless, even after adding salt and pepper. That explains the lower calories amount, right? 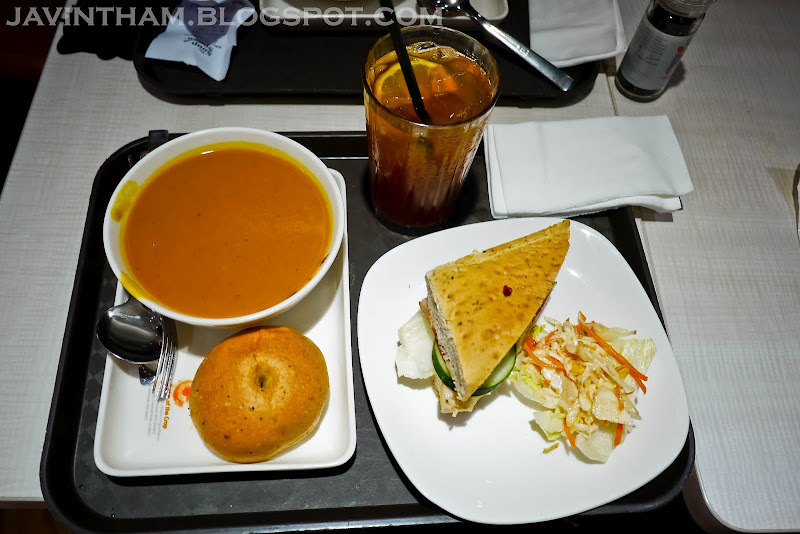 I ordered a Souper Value Meal, and so it came with a sandwich and a cup of drinks with a top up of $4.80. 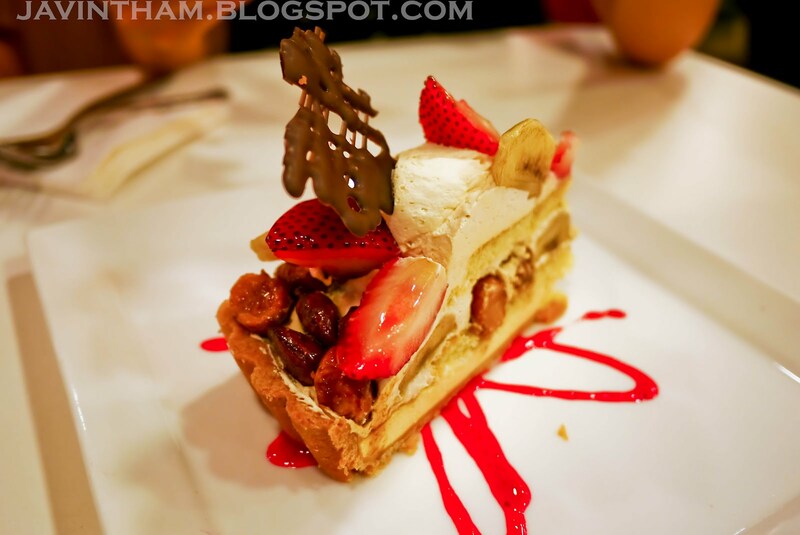 After dinner, either Sy Jia or Gareth suggested having desserts in Fruit Paradise, a Japanese fruit tart shop. The late guy continued his presentation and discussion about his cafe, Sidewalk Gallery Cafe. 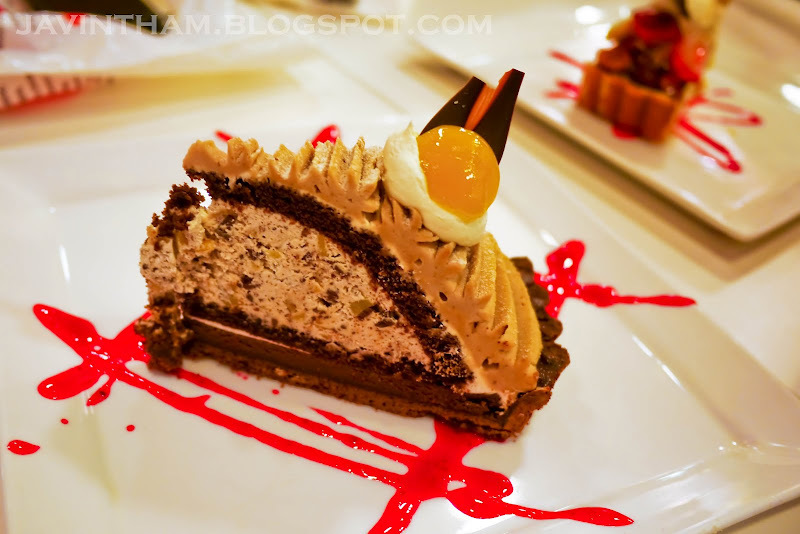 The Baked Chocolate Montblanc should contain alcohol but I didn't find it alcoholic at all. The tarts have very crunchy base and they're so so yummy.